“The Author would be glad if the following pages were not read as a Novel.” – Wrote Virginia Woolf (1882-1941) on the manuscript of The Waves (Initially called The Moths). It was first published in 1931. We are close to a century since this book was published, still this book is unparalleled and unequaled. The Independent called this Book of a Lifetime. This is not an easy book to read. Beauty is never too easy to create, or is it ever too easy to savor to the fullest. Both production as well as the consumption of true work of art needs to be earned. This is a difficult book to read yet immensely elegant and infinitely exquisite. The story, unlike most fictional novels, does not unfold through dramatic events. It doesn’t depend on drama, it deftly steers clear of the mundane. It is sensually sublime and magnificently mystical. It breathes softly in the cusp of prose and poetry. Riding on fascinatingly gorgeous prose, it rises to glory from the space where literature melts into philosophy and the exact intermingles into the abstract. The words written here have a soft tone, almost like a whisper as if they were giving away some magical secret to the reader. The Wave tells the story of six individuals who are the key (and only) characters in a beautiful story. Well, there is a seventh one, who is there only as reference for the six characters. The story is told through the monologues of the six characters- Bernard, Susan, Rhoda, Neville, Jinny and Louis. They meet, as kids at the beginning of the story on the sea-shore against the backdrop of waves, hitting on the shore- incessant, unrelenting, representing the continuum and passage of time. It is this rhythmic sound of life which Virginia Woolf refers to when she wrote- I am writing to a rhythm, and not to a plot. And one really feels a soft beat of drums coming from a distance as the words unwrap themselves, unhurriedly. The novel traces their lives through school, college and work. The story moves in monologues, as Mrs. Woolf wrore- The Wave resolves itself into a series of dramatic soliloquies. Through monologues we understand the characters and how they look at each other and at life as it unfolds for them. Susan accidentally finds Jinny kissing Louis and is very unhappy. Their individual characters unfold in the first part of the story itself. Jinny is a happy kid. She says, “I dance. I ripple. I am thrown over you like a net of light. I lie quivering flung over you. She is sure of herself, and looks for happiness. Susan is earthy and sad. Bernard wants to comfort her. Bernard is the writer in search of right phrase. He writes letter like Byron to his friends. He explains Susan’s anguish, “Susan has spread her anguish out. Her pocket-handkerchief is laid on the roots of the beech trees and she sobs, sitting crumpled where she has fallen.” She is not anguished because she loves Louis. We find the sorrow is within her, on account of her own image about herself, incapable of love and happiness. She has already concluded, and resigned to a life of the usual, the unremarkable, when she says about herself, “And I am squat, Bernard, I am short. I have eyes that look close to the ground and see insects in the ground. The yellow warmth in my side turned to stone when I saw Jinny kiss Louis. I shall eat grass and die in a ditch in the brown water where dead leaves have rotted.” Susan has already given up on life. She trades passion for propriety and in the end, laments, "I am sick of the body. I am sick of my own craft, industry and cunning, of the unscrupulous ways of the mother who protects, who collects under her jealous eyes at one long table her own children, always her own." Bernard continues his journey into the search of a voice of his own, as he keeps looking for the best of the phrases. Neville advises him that you are not Byron. You are Bernard, in the college, Cambridge. It is only towards the end Bernard agrees. There they meet Percival, who is only external character in the story. Percival is quintessential representation of orthodoxy, a conventional hero. He is an old-fashioned hero of myths, to who all are attracted – like Moths. Rhoda feels inadequate thought spiritual. She misses earthiness. She says, “I have no face. I am whirled down caverns, and flap like paper against endless corridors, and must press my hand against the wall to draw myself. She is in dilemma. She wants to become like Susan or Jinny. She never is able to come into her own. Her own self is lost. She says- “I am cast up and down among these men and women, with their twitching faces, with their lying tongues, like a cork on a rough sea. Like a ribbon of weed I am flung far every time a door opens..I am also a girl, here in this room.” She has lost herself in her menial, an inconsequential identity, a broken self and she is twenty-one. She will jump off the cliff eventually and kill herself, hounded by her own sense of inadequacy. Louis is the ambitious one. He is articulate, thinks of himself as an unhappy poet. He is a realist. He says, “The bird flies; the flower dances; but I hear always the sullen thud of the waves; and the chained beast stamps on the beach. It stamps and stamps.” The chained beast is the sea, the stamping- the sound of the waves. Louis is artistic but notes the time which is passing by. He goes to London, who spoke of “My father, a banker in Brisbane” with embarrassment, is laboring in office. Maybe his picture will not be on the wall as an unhappy poet. He has given up on being a poet. He says, “I repeat- I am an average Englishman; I am an average clerk.” He is tortured by the sense that he has compromised his potential, his ability. He says, “I smoothed my hair when I came in, hoping to look like the rest of you. But I cannot, for I am not single and entire as you are. ..I am the caged tiger, and you are the keepers with red-hot bars.” His sensitive soul, we find later, is tamed when he says, “There is no respite here, no shadow made of quivering leaves, or alcove to which one can retreat from the Sun, to sit, with a lover, in the cool of the evening. Percival dies. The hero dies the most ordinary death. He falls from his horse in India and dies. The six lives, who would be attracted to Percival like moths will suddenly come home to the ephemeral nature of life. Bernard says- “This then, is the world that Percival sees no longer.” From ashes to ashes. The characters are incidental, so is the story. It is deep philosophy, it is the story of spiritual search. It is a story that one ought to read, even though it is difficult. It is like life. We have to live, no matter how difficult it might be. For anyone, as an early reviewer wrote, it should be twice read. For a writer, one should read, re-read it many times, hoping some of the genius would rub off on your own writing. While being path-breaking and experimental, it attracted some scathing early reviews, I would only quote from this book itself, before you make an opinion about it- “To read this poem one must have myriad eyes… one must put aside antipathies and jealousies and not interrupt…Nothing is to be rejected in fear or horror…The lines do not run in convenient lengths…One must be skeptical but throw caution to the winds and when the door opens, accept absolutely..Let down one’s net deeper and deeper and gently draw in and bring to surface what he said and she said and make poetry.” This quote from this book is apt for this book. Thank you for including the extra book reviews. 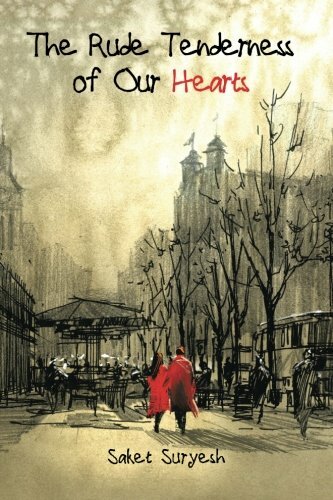 I really liked the one written by Henry Nicolson. 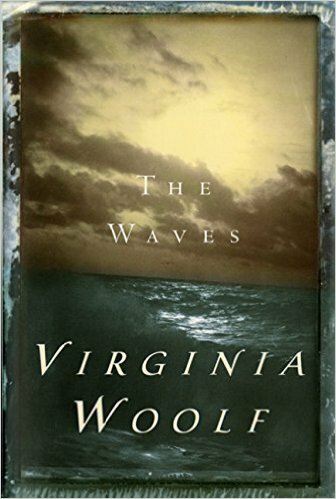 Your review also convinced me to read or try to read The Waves by Virginia Woolf. However, I didn't need a description of all those characters. Thanks again.